Four out of five motorists support the introduction of compulsory eye tests for drivers each decade. 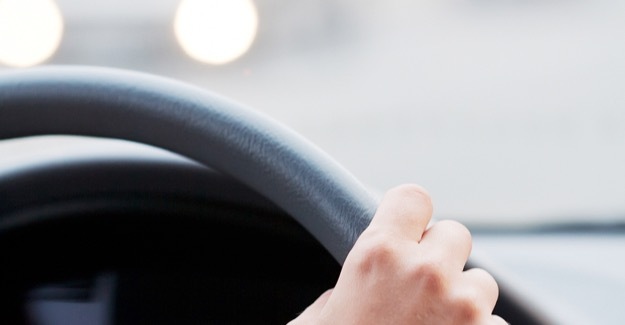 Seventy-nine percent of those questioned in an Ipsos MORI survey for the RAC Foundation say not only do they back the move but they would also be prepared to pay for the tests which would coincide with the compulsory ten-yearly renewal of driving licences. The results show support for a regular eye test was high amongst drivers and non-drivers alike. Support did not differ significantly by gender, age group, social status or geographical location, though there was slightly more support amongst women and those aged over 55, and slightly less support amongst those living in London. The poll coincides with the Government review of vision standards and driving which recommends that the current number plate test is retained and the distance over which it must be read reduced to fit in with EU standards. No other tests of vision function are suggested in the review and under current plans drivers would continue to self-certify their fitness to drive. A number of road safety charities and the Eye Health Alliance have expressed significant concern about the proposal believing a relaxation in the existing rules alongside continued self-certification with no additional support will be harmful to road safety. Professor Stephen Glaister, Director of the RAC Foundation said: “Introducing an eye test to coincide with the ten yearly driving licence renewal provides a medically robust and practical way to ensure a driver’s vision is up to scratch. The number plate test gives only a very basic, indication of a driver’s sight, whereas a consultation-room examination is able to look at all the aspects of eyesight and its effect on driving. The DVLA consultation on ‘Proposals to amend driving licence standards for vision, diabetes and epilepsy Annex III to Directive 91/439/EEC and 2006/126/EC’ is available at http://www.dft.gov.uk/consultations/open/2011-03/ and closes on 28th April 2011. The results of the survey are based on 991 face-to-face in-home interviews conducted by Ipsos MORI with adults aged 16+ across England, Scotland and Wales between 4th-10th March 2011. Q. As you may know, the current driving test includes an eyesight test involving reading a car number plate at a certain distance. At the moment, drivers who own a driving licence are not required to have their eyesight re tested as they get older. Some people have proposed a change to this so that licensed drivers are required to have an eyesight test every 10 years. This would be done by opticians and paid for by drivers, except those aged over 70, when renewing their driving licence. Taking your answer from this card, to what extent would you support or oppose the proposal to require all drivers to have an eyesight test every 10 years?